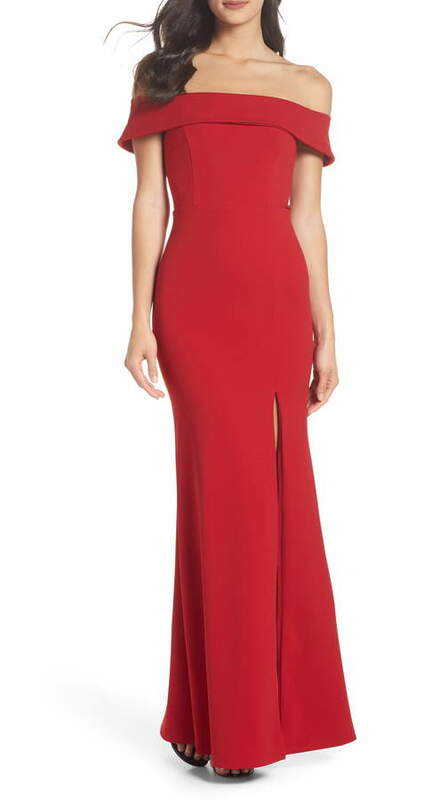 For a sashay with cachet, you've found the dress-featuring a fold-over, off-the-shoulder neckline and a thigh-high slit to punctuate the sculpted fit. Style Name:Lulus Off The Shoulder Mermaid Gown. Style Number: 5599395. Available in stores.